My last post was the 9th March- nearly 3 months have passed, god knows where. Flat out busy at work and tired all the time. 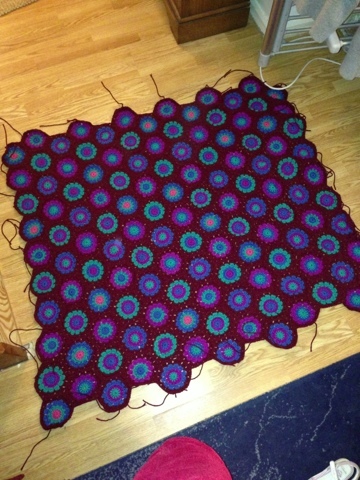 My hex is nearly finished- I have 4 hexs to go and then a border. The wool took eons to come. 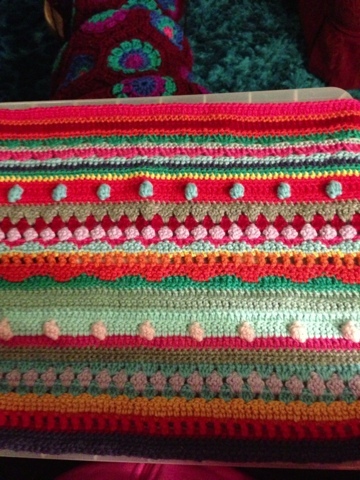 Have started another blankie which is on hold until I finish my hex. And in other news. 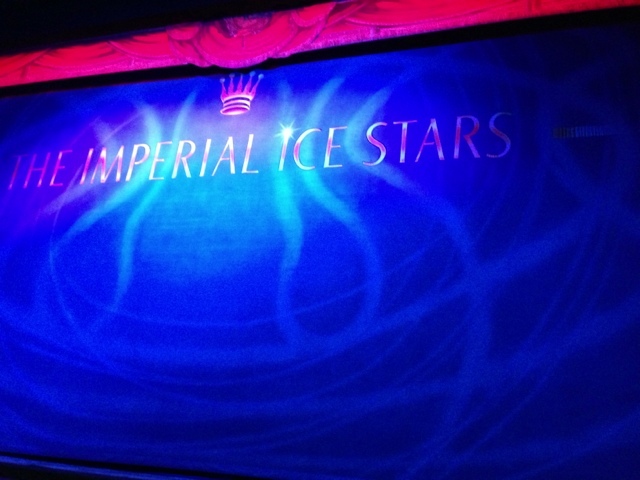 We saw the Imperial Ice Stars perform Sleeping Beauty on Ice- what a treat. Am so impressed I've booked to go see them in Cardiff in November.